Izuhi is a historical town described in the ancient books, “Kojiki” (Records of Ancient Matters) and “Nihonshoki” (the Chronicles of Japan). It is said to be developed by “Amenohiboko” who is an ancient god of pioneer in the land of Tajima. Izushi is a small castle town now part of the city of Toyooka in northern Hyogo. 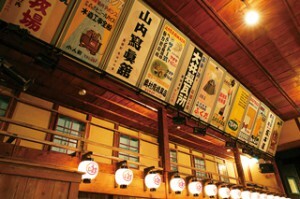 It’s famous for its old-Japan atmosphere and Izushi-soba, buckwheat noodles that is served on small plates. Izushi is a destination for castle enthusiasts and other fans of Japanese history. 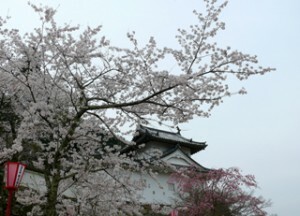 It boasts not only Izushi Castle, but also Shinkoro Tower and an old theater playhouse called Eirakukan. When you arrive in Izushi, your first stop will be the castle. Izushi Castle is small but fairly well-preserved and has a hilltop location that commands a view of the surrounding area.